Takayama Old Town and Miyagawa Morning Market are a 10-minute walk, while Hida Minzoku Mura Folk Village is a 10-minute drive away from Guest House Ouka. 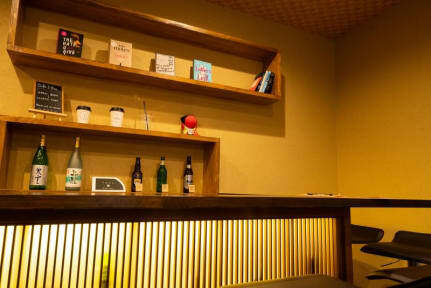 The property is a 8-minute walk from Takayama Nohi Bus Centre, where guests can take a bus to Shirakawa Village. A shared bath room is located on the ground floor. Guests will find a shared kitchen and a shared lounge at the property. The kitchen comes with an induction stove, a fridge, an electric kettle and a microwave. Condiments, utensils, tea and coffee are provided in the kitchen as well. There are 3 computers, lockers and a vending machine for guests' use in the common areas. A washing machine and a clothes dryer are available at a fee. If there is no contact from customer arriving after 21:00, we would close entrance, and charge cancellation fee. Therefore, please make sure to contact us if you arrive after 21:00. Late check-in fees apply between 21:00 and 00:00. Fee is 500 Yen per person from 21:00 to 23:00 and 1000 Yen per person from 23:00 to 24:00. Guest House Ouka is a wonderful &neat place to stay when in Takayama. It has a convenient location to the Bus Station, 7/11 store & some restaurants. If walking to site seeing spots is not a problem, one can just walk to the Miyagawa River & visit the morning markets before heading to the Old Town Street. Guest House Ouka is also great because of its staff-- sounding off Sanai san & Kaka san! Really helpful & warm people from the time i arrived up to the time i left! I'll go back here soon! Great place to stay! There's not much to do in Takayama, but it's a nice break from some bigger cities. This was a great place to stay, close to the main restaurants and within easy walking distance of the train station. The staff was super nice and helpful, and the atmosphere was very cozy and quiet. If you're heading to Takayama, definitely stay here! Great place for a cheap price. Awsome Hostel very friendly and helpful! Nice and clean guest house with a lovely atmosphere and great attention to detail. Staff speaks very good English and happily answers all your questions. As mentioned in other reviews, the walls are paper thin. Noise carries. 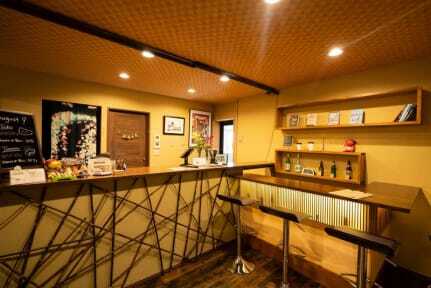 Otherwise, it has a superb interior, well located, well organized, clean and good staff. Enjoyed the stay. The dorm is very roomy and the bunk beds are in 2m. Wonderful place! However, the walls are very thin so people who are sensitive to noise may want to look elsewhere. Good location. 10-15 walk to Takayama JR station. Clean. Helpful staff. Very good hostel overall. Facilities are clean and in good condition. Good location, close to the station and to the old town.